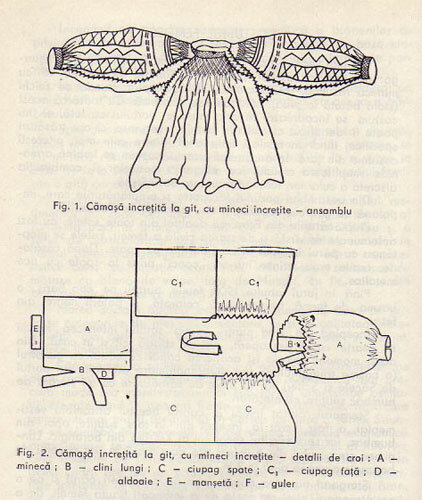 Images explaining how a Romanian blouse is made. The canvas must have been discussed, if not prompted by the visit of an old friend, the Romanian painter Theodor Pallady (1871-1956), whose portrait was sketched by Matisse, in Nice, in 1940 (see John Klein, “Matisse Portraits”, pp. 137). The friendship between Matisse and the Romanian Pallady went back to their time together at the Ecole des Beaux Arts in Paris (1891-1900). 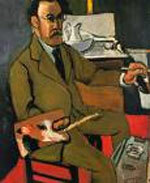 Throughout their long correspondence a close affinity developed between the French and the Romanian painter. Quite apart from the closeness in style and demeanour, the two friends shared a great many complicities, amongst which the image of Romanian muses, much in view in 20th century France, was a recurring subject. 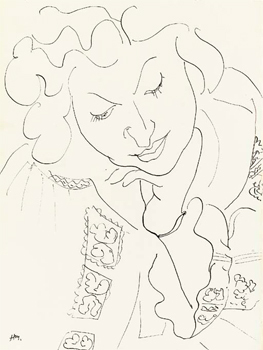 In his correspondence, Matisse would accompany his letters by sketches and would use Pallady as a sounding board, sometimes talking about his artistic and personal anxieties. 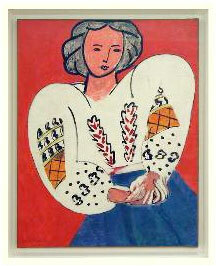 In this context, the theme of the Romanian Blouse becomes more significant. It was painted in 1940, during one of the darkest periods of the war, which the country had experienced under Nazi occupation. 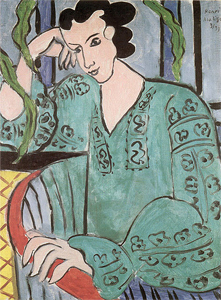 Matisse was soon going to abandon Nice, which was being bombed by German planes, for the relative security of the ‘arriere-pays’, in Vence. 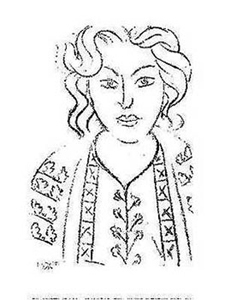 Reading some of the artist’s diaries of that period one could detect that the cheerfulness of the “Romanian Blouse” was acting like an antidote, as it represented a glimmer of optimism and of hope. What does the artist say?